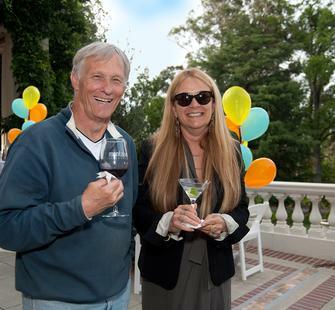 Wednesday, May 22, 2019, 6 p.m.
Join us as we unveil our 2019-2020 Carriage House Theatre Concert Series with a free party for Montalvo donors! Grab appetizers and a cocktail, a glass of wine, or a beer, then relax on the front veranda of the Villa (or inside the Villa, depending on the weather) with some music while you chat with fellow music lovers. After the mingling, we'll reveal the list of concerts coming up next fall, winter, and spring! We'll play games to win prizes, and you'll be first in line to get tickets to a show. Higher level donors will even get fast-track access to move to the front of the line. Many concerts this past season sold out, and if you're not at the party you may have to wait up to a week to get tickets. All donors in attendance will be able to purchase tickets that night, but in order to receive an invitation to this exclusive event, you must be a member.